We live in a world where very few people know much about the Bible. Consider the evidence. Many high school seniors believe that Sodom and Gomorrah were husband and wife, while a majority of Americans cannot name one of the four gospels. One in ten Americans believes that Joan of Arc was Noah’s wife, and only one-third know that Jesus (not Billy Graham) preached the Sermon on the Mount. One of the most frequently quoted passages from the Bible — “God helps those who help themselves” — actually doesn’t appear in either the Hebrew Bible or the New Testament. While we know this issue is wide spread across various age groups, one thing we know for sure — it includes students! How can we make sure that students are equipped to handle what is waiting for them once they graduate from high school and that, when needed, they can defend their faith? One way to prepare students for the upcoming challenges they will face is to make sure they are comfortable walking through books of the Bible. This type of study is called exegetical Bible study or expository Bible study. The term “exegetical” comes from the Greek word “exegesis” which means a critical explanation or interpretation of a text. It is the study of a text in its context. It is walking through a passage of Scripture and deriving truth from the text. 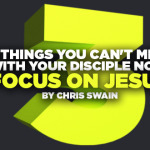 Students need this balanced approach to Bible study. Exegetical study teaches a student how to walk through a book of the Bible or selected chapters of a book and discover truth as it unfolds from the pages. They learn how to study passages that they may pass over and cover topics that they may never seek out. Exegetical study also forces students to look at context as well as content. There is so much value in understanding the context of when something was written, why it was written, and to whom it was written. As students dive into context it makes the content come alive. Are You a Helicopter Bible Study Leader? Students also need to learn how to study the Bible for themselves. Over the past ten years we have grown accustomed to the phrase “helicopter” parents. It is a term that refers to parents who hover over their students and basically do everything for them, thus creating dysfunctional young adults who do not know how to make it on their own. I wonder sometimes in student ministry if we are not “helicopter” Bible study leaders. We feel the need to provide every answer for our students and are afraid of leaving any room for question or self-study. This results in students who will face a cruel world unequipped to handle the pressures of life because they don’t know how to go to their Bible for answers. Encourage your students to dive into exegetical Bible study. As they learn to study the Scriptures verse-by-verse and book-by-book they will see a depth of truth that they have never seen before. If you need a Bible study to help lead your students into this type of study check out Explore The Bible: Students. Jeff Pratt is the Director of Student Ministry Publishing at LifeWay Christian Resources. He spends most of his spare time now raising his three children, hunting ducks, and occasionally playing a round of golf. He has previously been a camp speaker, guest lecturer and teacher in various seminary and college classes on the topic of student ministry.